Building SCADA systems, key performance indicators (KPIs), digital dashboards and other data visualization applications are an ideal task for SharpShooter Gauges. 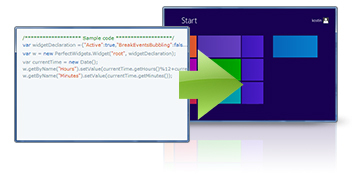 The product delivers a set of .NET components that allow developers to quickly design powerful gauges and effectively integrate them into their .Net and ASP.NET applications. The product features a rich library of pre-designed gauges both traditional ones: Progress Bars, Meters, Dials, Sliders, Odometers, Thermometers, Switches, and specific ones: Manipulators, Scales, Compasses and many other. Whether you need circular or linear gauges, numeric or text indicators or more, SharpShooter Gauges has something to offer for everyone: 180+ predesigned gauges in 10 visually appealing styles. 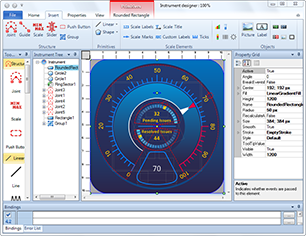 SharpShooter Gauges Designer is a versatile tool designed to create and configure gauges with little effort. 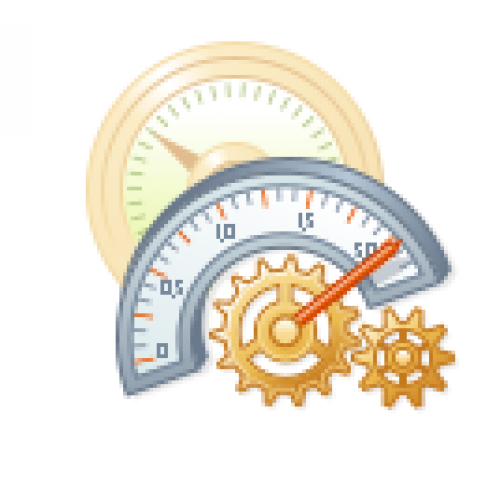 It is possible to easily create gauge from scratch and quickly design its style and appearance or get one from the library of pre-built gauges and easily modify it (add, remove elements, change style and behavior). And all this without writing a single line of code. All modifications are done as in traditional graphics editors. 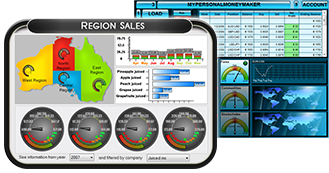 You can easily provide full featured gauge designer to your end users so that they are able to adjust gauges to the style and standard of their corporate applications, if necessary. A developer can quickly set any complex behavior of virtually any gauge element; add state indicators, which are highly effective visual tools that can be activated once the data reaches a single or multiple thresholds. And all this can be done without writing sophisticated code. 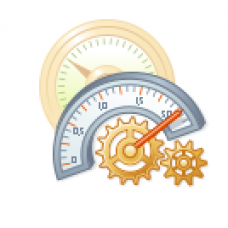 SharpShooter Gauges features an intuitive expression editor which provides a user-friendly interface for writing expressions. It allows the developer to preview all available constructions and elements of the expression language, select and modify them. 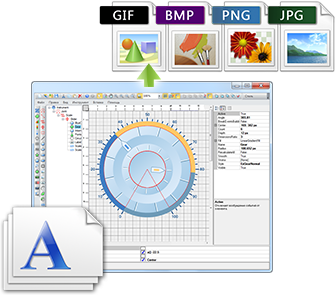 Export to SVG, GIF, BMP, PNG JPG and Flash.